TREES, crucial absorbers of climate-harming carbon dioxide gas, may finally be baulking at an ever-earlier spring season caused on by global warming, researchers said after an investigation. Over the past several decades, trees across central Europe (歐洲) have been steadily sprouting their spring leaves earlier in response to warmer temperatures. As a result, forests absorbed more carbon dioxide in a longer growing season. But a study published in the science journal Nature (自然) said trees have slowed their pace of seasonal advance – raising fears it may stop altogether. The slowdown “suggests a current and possible future weakening of forests’ carbon uptake due to the declining temperature sensitivity of (trees),” said lead author Fu Yongshuo (付永碩) of Peking University (北京大學). 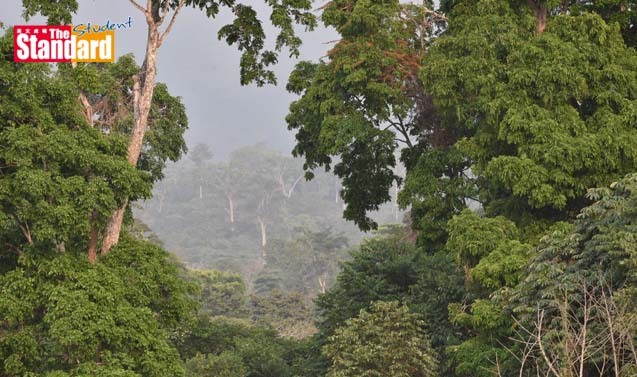 Forests play an important role in stemming global warming by absorbing carbon dioxide – the most abundant greenhouse gas – from the atmosphere. For the study, an international team crunched decades of data drawn from seven common types of trees such as beech, silver birch and horse chestnut at 1,245 sites in the wild from Denmark (丹麥) to Bosnia (波斯尼亞). The authors said previous studies had relied on saplings or twigs tested in laboratory settings and not exposed to real-world changes. In real life, they found, leaf-sprouting happened steadily over two earlier study periods: 1980-1994 and 1999-2013 – about 13 days overall over the past three decades. But when the scientists compared the two terms, they noticed the advance of earlier sprouting had slowed by 40 percent in 1999- 2013. The authors believe the trees may be trying to protect themselves against extreme weather.